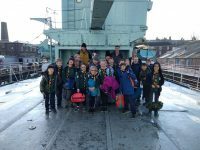 Home/Do you have any Scouting Equipment to Hire Out? Do you have a Scout Hut or any Equipment that you want to hire out? If the answer is yes then why not use our use our Market Place to advertise your items for free and let the other Scout Groups in Cambridgeshire know what you have available. From Campsites to Huts, Kayaks to Caving Equipment we can help you get the message out. Once we have all of the information we’ll get your item up on the Cambridgeshire County website as soon as humanly possible.